Never before has such a huge crowd gathered! 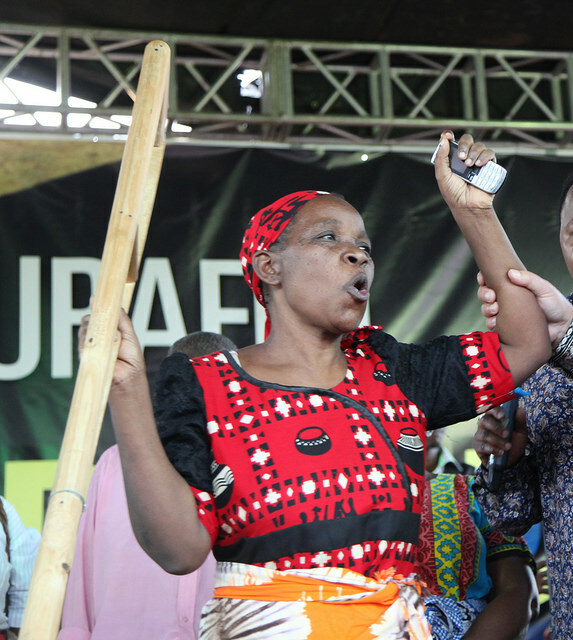 “The Bishops in the Morogoro region are unanimous that this Gospel Festival is historical! Never before has such a great number of people gathered. We have seen multitudes of salvations and miracles of healing, more than we are able to count. The healings flowed like a flood. Morogoro is reaped for Jesus! Then through the Gospel Revolution Seminar the works of Jesus Christ are continuing to become widely known, not only in the city, but to all the parts of the region and into other parts of Tanzania. The work done by World Impact Ministries is bearing much lasting fruit for God’s kingdom. Bishop Zenobius Isayah made these comments a few days after the Morogoro outreach had ended. 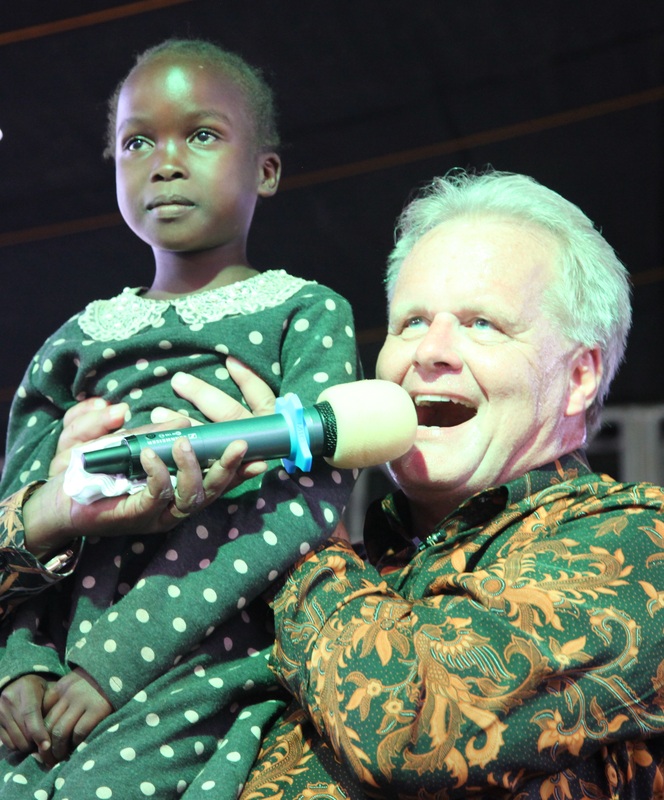 Johnny Hanson Commented after the last service, thousands received from the Lord, blind, deaf and even lame people were healed. Totally fantastic! Amazing to be a part of this. 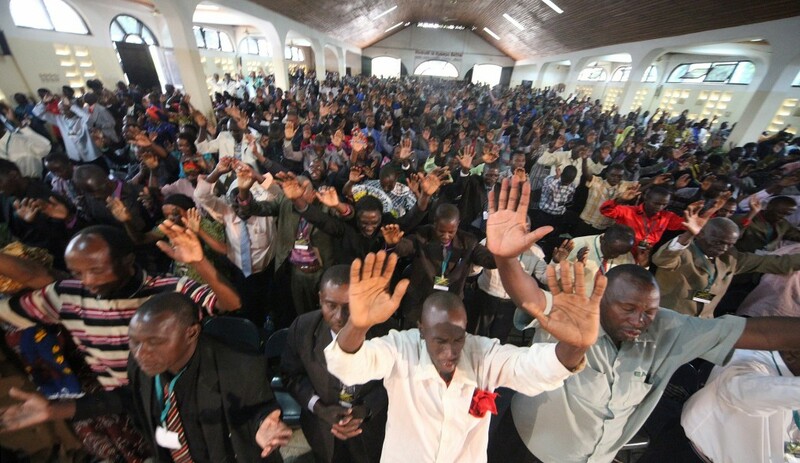 Too many in Morogoro this was the big question – would God heal Muslims? At the Friendship Dinner, held the night before the festival, Peter Youngren had boldly declared to political, religious and financial leaders that Jesus Christ would do wonders among all the people, without discrimination. The dinner was also attended by many from the media, who afterwards peppered Peter with questions. He assured them again and again that this Festival was not a church event; this was for the entire city. He invited the journalists to check for themselves on the Muslims who, he assured them, would testify that Christ had healed them. The proof is in the pudding, so the old saying goes and on the first night many wondered, what would really happen? They didn’t have to wait long. When the people who had been healed were invited to come to the platform and share what God had done, the second person on stage, was a Muslim woman with her young daughter, deaf since a baby. Now the girl, Ramcha Ramadan, was able to hear and articulate even the slightest whisper. The crowd roared with joy and praises to God. Later on that same night, there were many who had been carried to the meeting, who were able to walk. One woman shouted to the crowd; “you know me, you know my name, you know that I’ve been lame, look what God has done for me”! Peter Youngren summed up his thoughts: “Yes, I love to see miracles of healings, especially when those healings confound unbelievers and make them realize that Jesus Christ is alive. However, much more than healings, the greatest moment night after night is when thousands repent from dead works and come to faith in Christ”. Only 25,000 follow-up books for new believers had been printed in advance of the campaign, and already before the last night, all the follow-up material had already been used. Truly, this was a great harvest of souls. Peter continued, “when people see healings they realize that our message is not in word only, it is in power, and this opens them to receive the greatest gift – salvation”. World Impact Ministries has more than 20 years of history in Tanzania, but the first campaign in the city of Morogoro, with a population that is evenly split between Muslims and Christians. 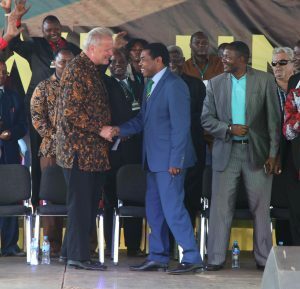 The long lasting fruit of the ministry here was evident when the newly elected president, John Pombe Magufuli, sent his Minister for Home Affairs, Mr. Lamek Nchembe, eight hours by car, to welcome Peter Youngren to Tanzania again. Night after night, the faith of the people rose higher. One particularly moving incident occurred on the last night. Several times in his message, Peter said, “there’s a lame person listening to me while lying in the back seat of a car, and tonight you will leave your car and walk”. 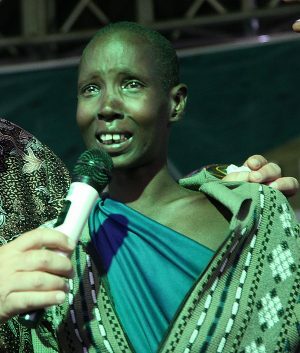 As it turned out, a young lady from the Masai tribe, may be in her mid-20s, had been unable to walk for 12 years. She would just lie in her little hut, while others had to wait on her, and she was the one brought in the car. Again the crowd roared with excitement as she was running, dancing, all the while tears were streaming down her face, telling everyone what Jesus had done. 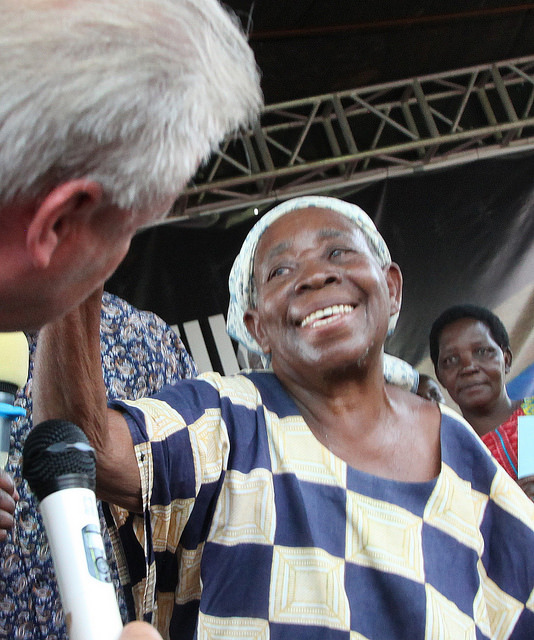 Jesus had indeed healed her in the back seat of that car, and here she was full of joy. 956 delegates, mostly pastors, were registered for the Gospel Revolution Seminar, and for them it became a personal revolution. Pastor Dwain Peregrym, from Scottsdale Arizona joined Peter and taught on the “Gospel of the kingdom of God” for the first session each day. Then Peter shared for the rest of the day the same message that he has taken to pastors around the world, taking them into a full revelation of what the gospel is all about. “This is not a gospel refresher or a gospel revival, because refreshings and revivals need to happen often. This is a revolution, and a revolution only happens when things have gone far off course, maybe once in two or three generations. Around the world today, the church has forgotten the gospel. We think we know it, but in truth forgotten it. Truly, a revolution is needed. By the end of the seminar the echoing cry among the pastors was – Bring back the gospel! On the second day of the seminar, many wept openly as God showed visions and dreams to pastors. Hundreds testified that they had seen images painted on the screen of their mind by the Holy Spirit. The seminar is particularly helpful when it comes to follow-up for all the Muslims that come to Christ. Peter Youngren makes it crystal clear that our job is not to get people to change from one religion to another, but it’s all about seeing people becoming new creations in Christ. Once people see themselves identified in Christ, their religious affiliation will sort itself out. Mark Danstan, principal of World Impact Bible Institute in Nairobi, Kenya, who attended the meetings in Tanzania commented; I’m proud to be a part of this gospel revolution. We are shouting Grace, Grace, Grace! This is unstoppable!